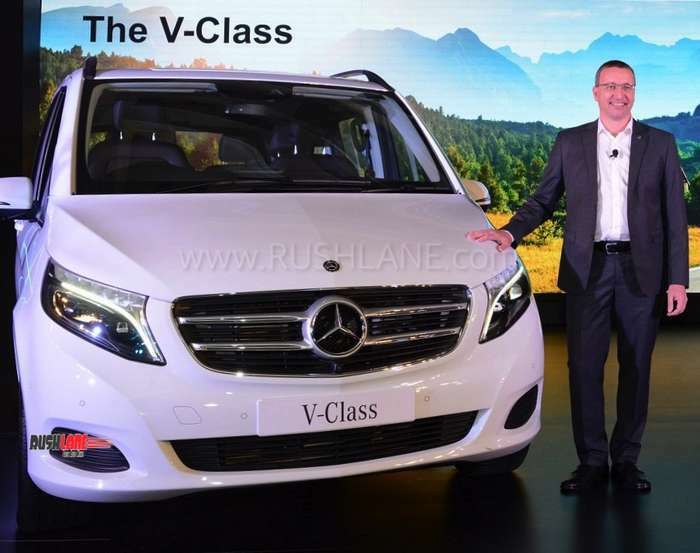 Mercedes Benz India marks its entry into the luxury MPV segment with the new V Class. 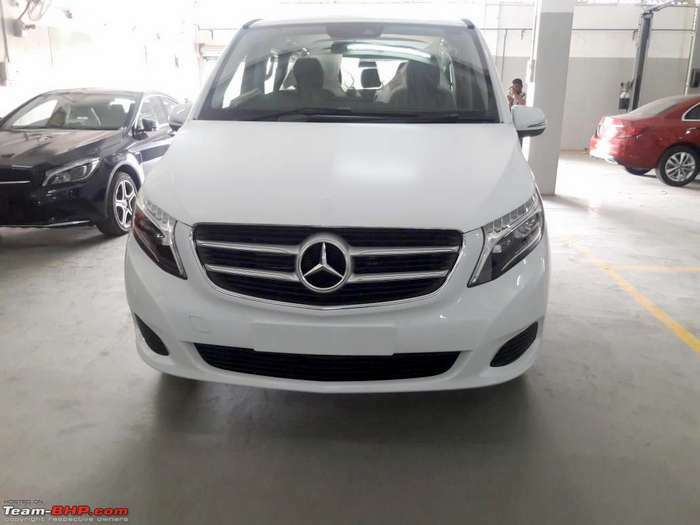 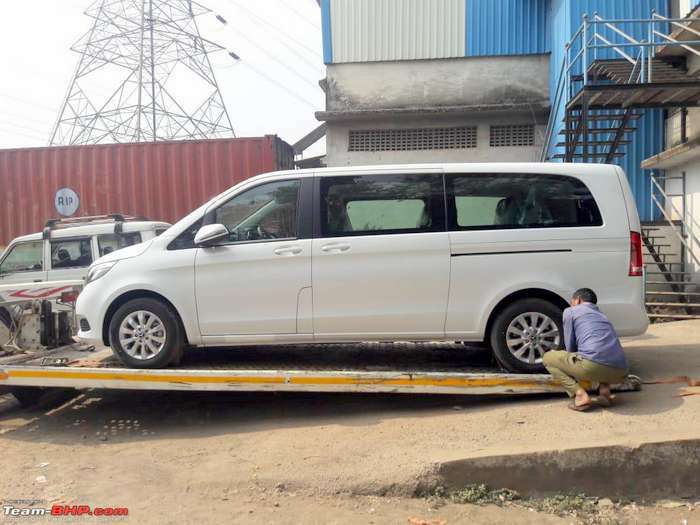 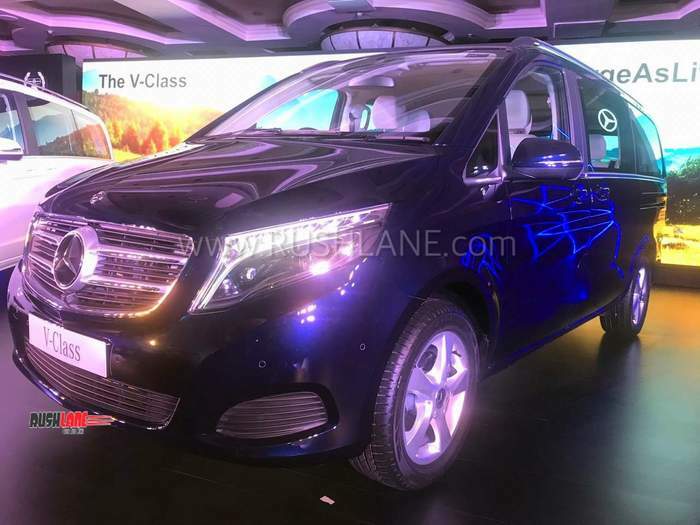 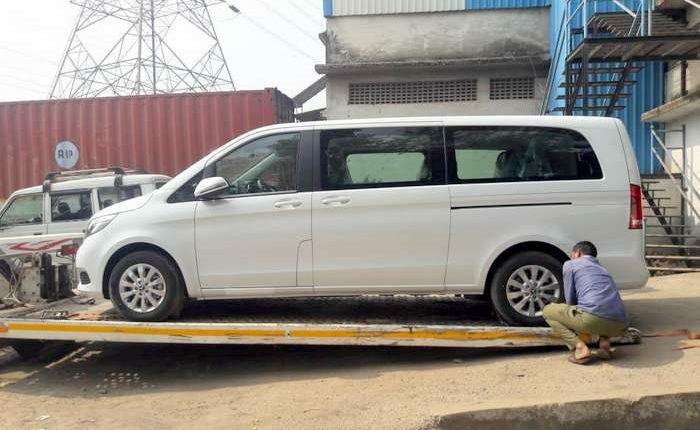 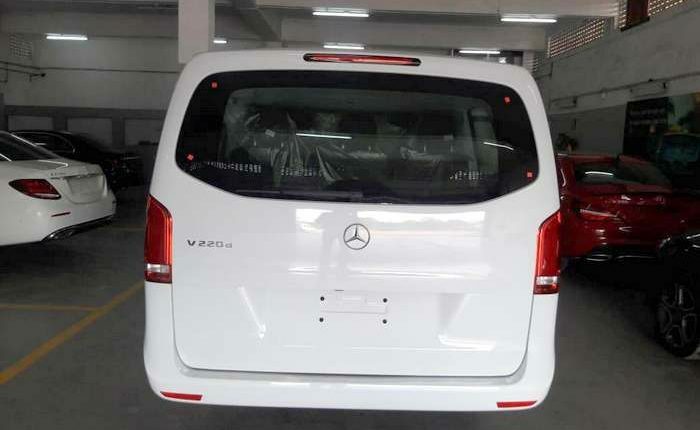 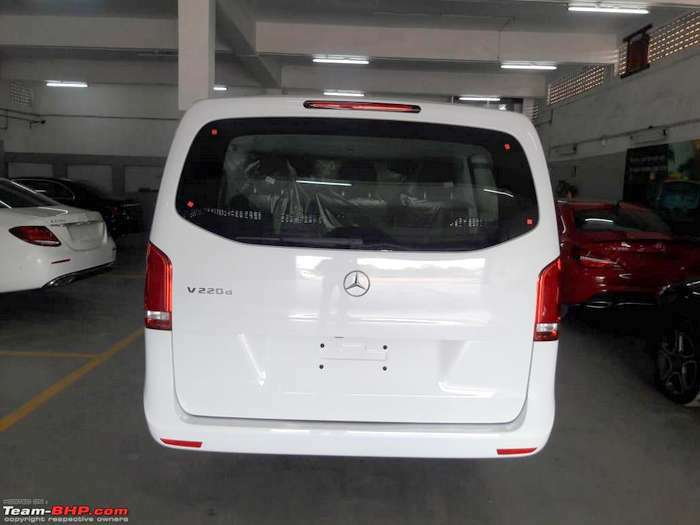 2019 Mercedes V Class, a luxury MPV, marks its entry into India. 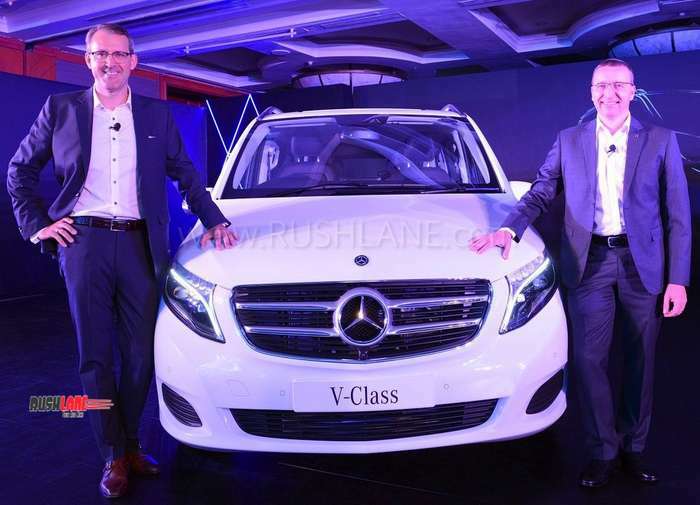 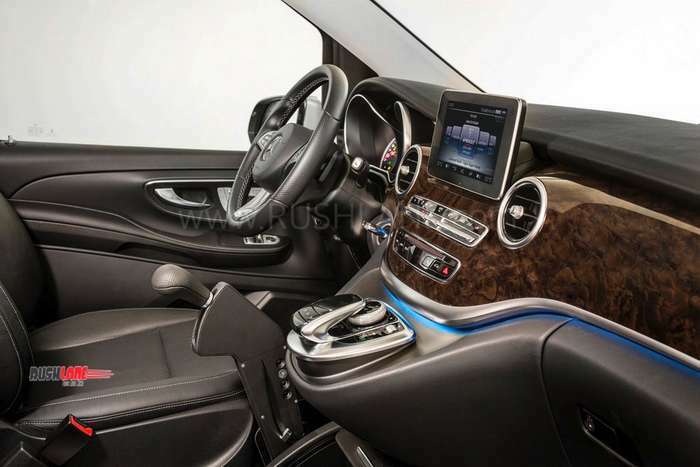 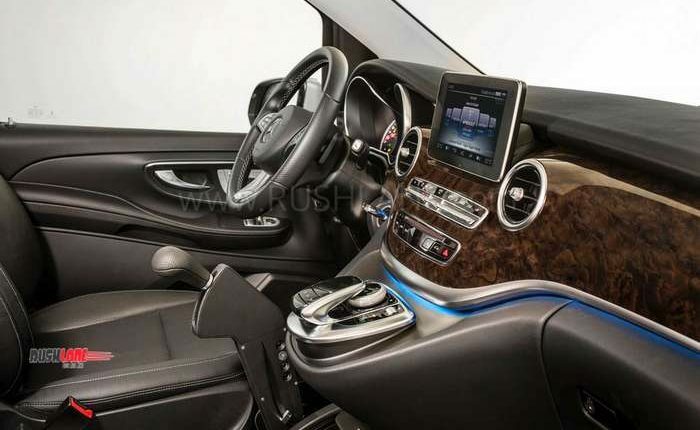 The new Mercedes Benz V Class enters a niche segment, exuding style, luxury and opulence. 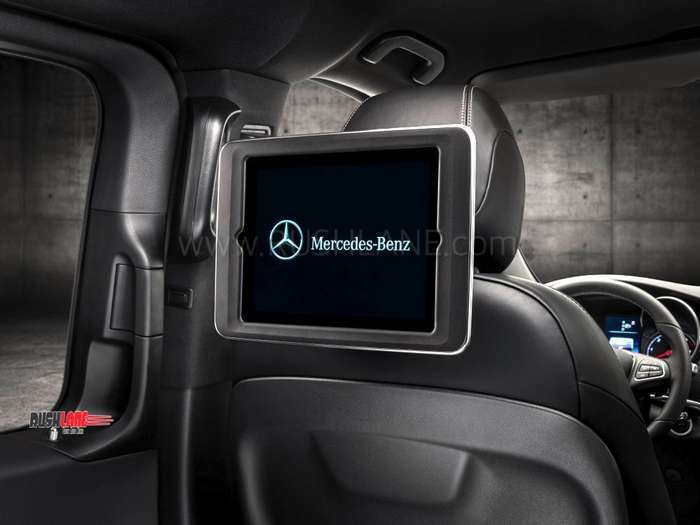 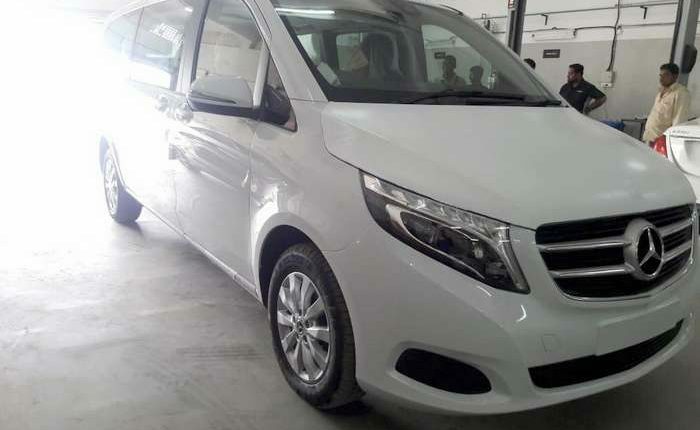 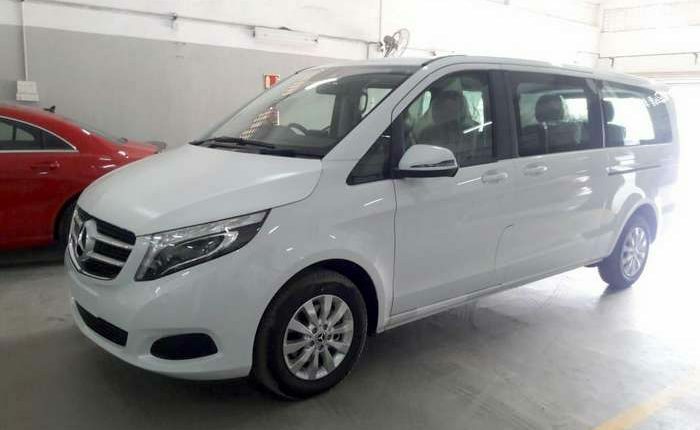 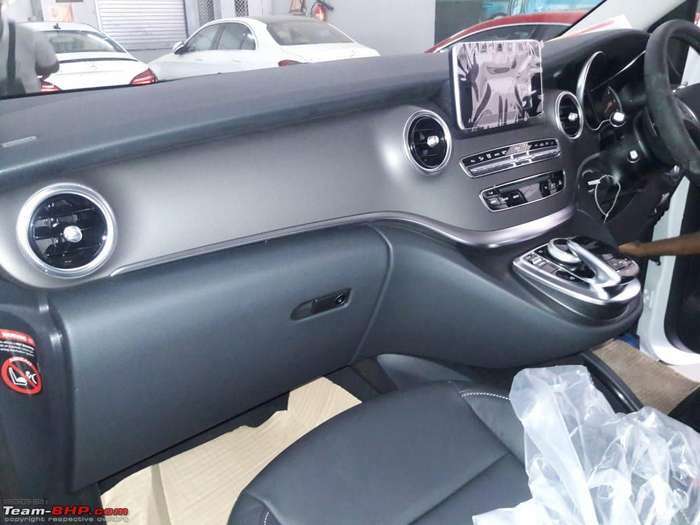 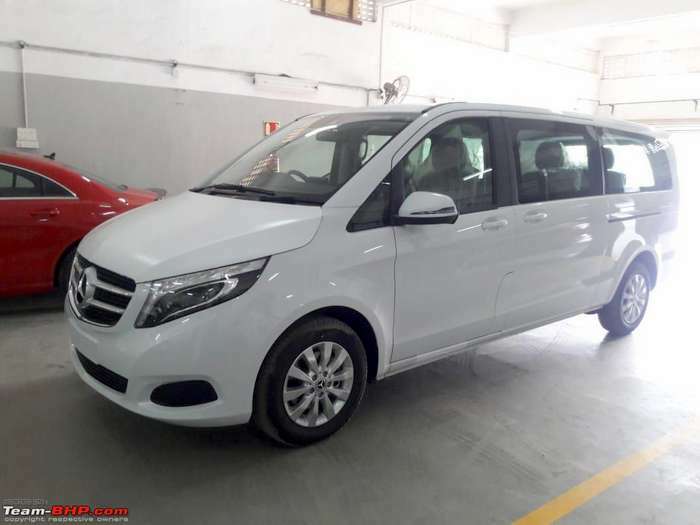 The company has not yet disclosed plans of local assembly and till then the new Mercedes V Class will be brought in via the CBU route from Spain. 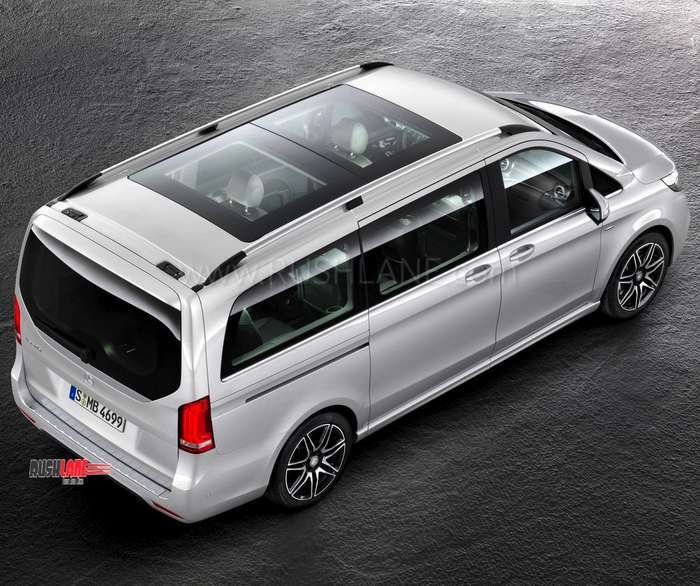 It will be offered in two options – LWB and Extra LWB (Long Wheelbase). 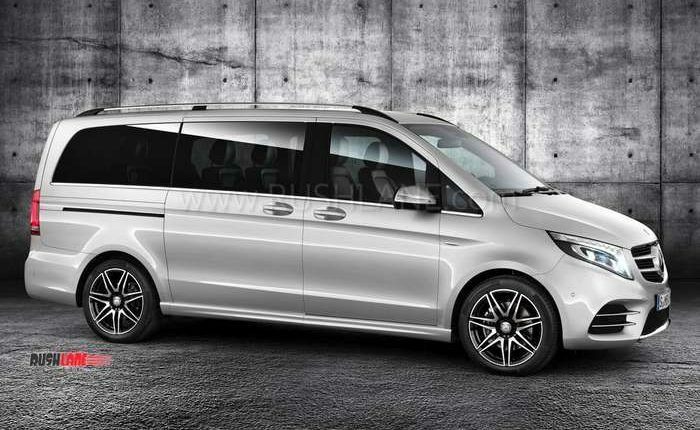 The former comes as a 6 seater (2+2+2), while the latter comes as a 7 seater (2+2+3). 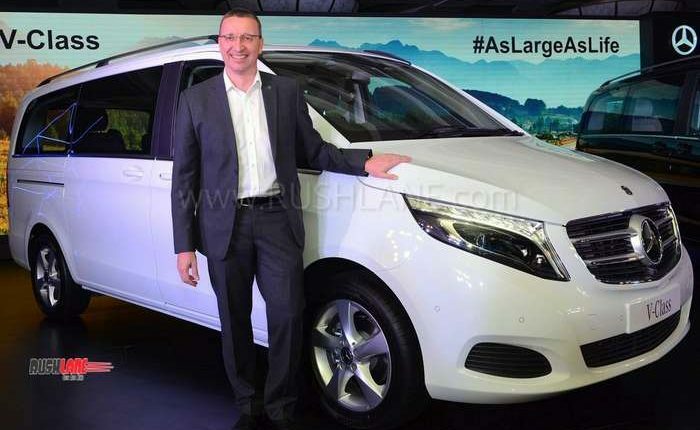 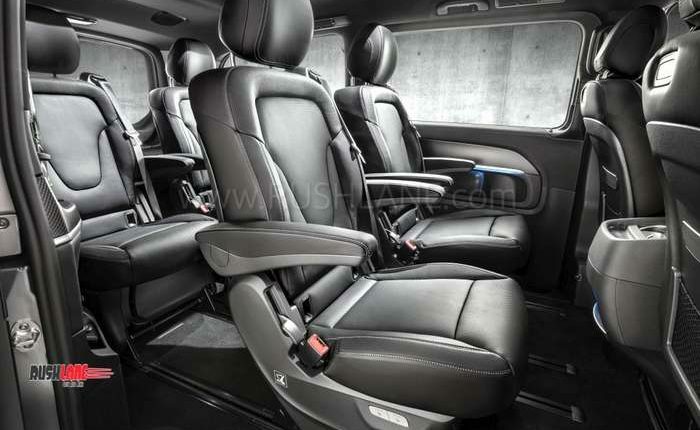 Price starts from Rs 68.4 lakhs for the 6 seater and Rs 81.9 lakhs for the 7 seater. 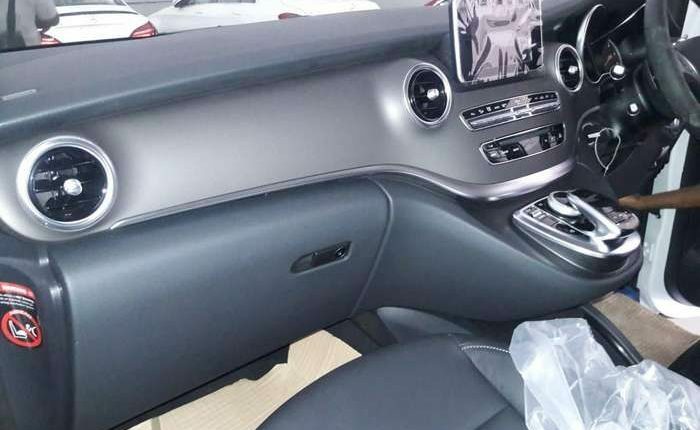 Ex-showroom prices. 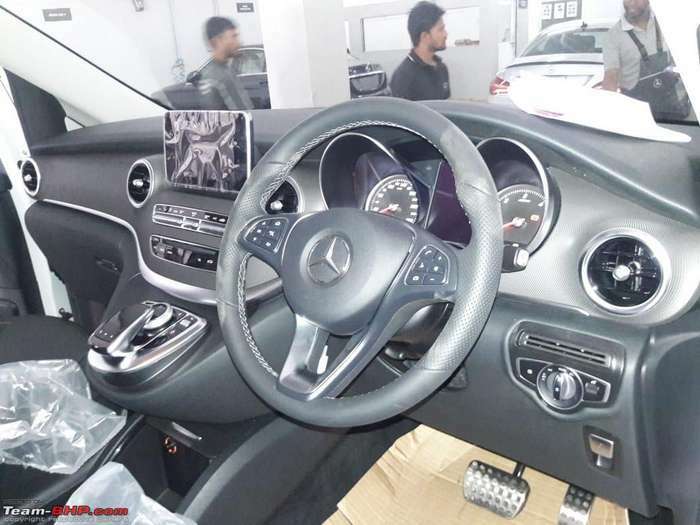 Service package price starts from Rs 1.49 lakhs for 2 years / 30k kms. 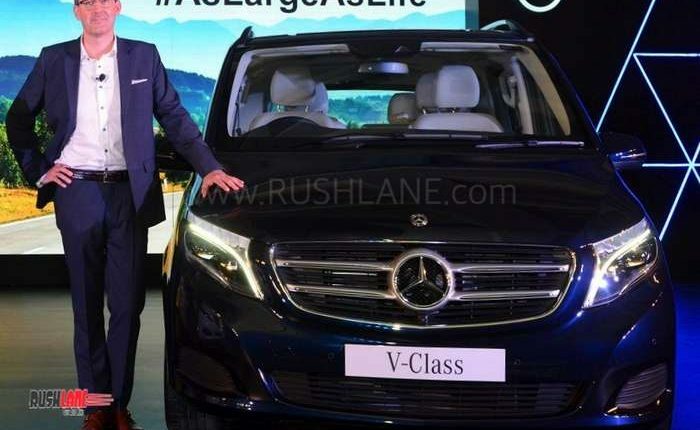 The new V Class will not face any competition in India in its category but will have to compete with SUVs in the same price bracket. 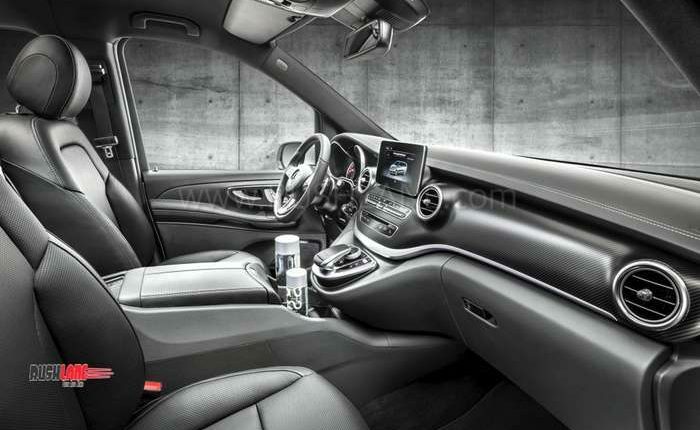 In global markets, the Mercedes Benz V Class is offered in three configurations. The compact version measures 4,895mm while the long version measures 5,140mm in length and the extended length option increases length to 5,370mm. 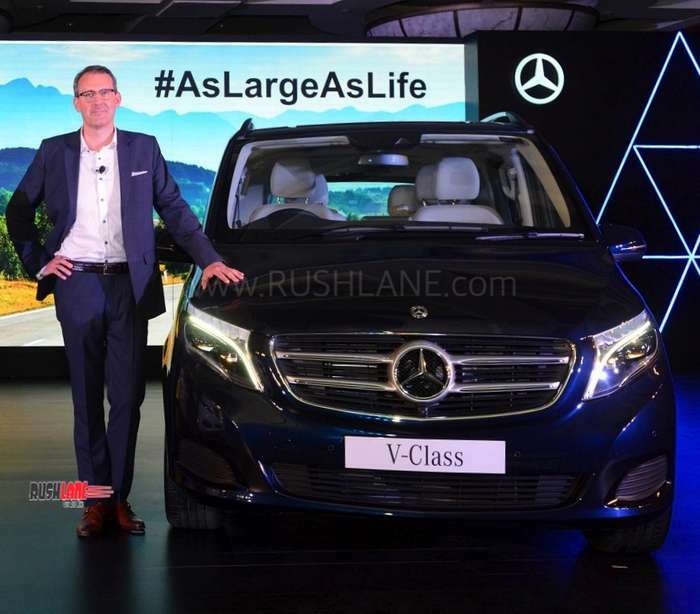 India gets the latter two versions. 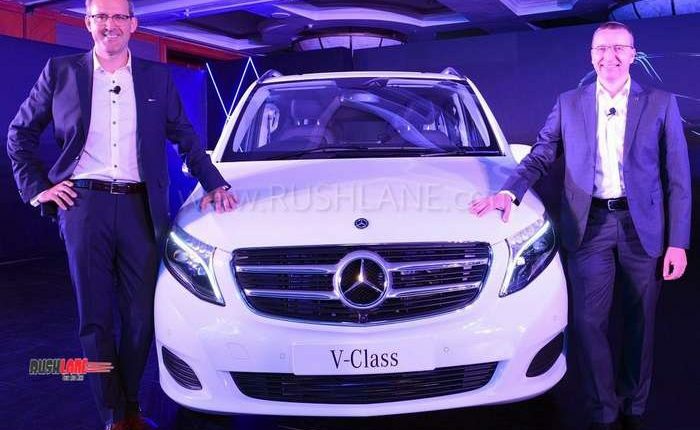 Both are powered by the same 2,143 cc diesel engine which delivers 164 PS and 380 Nm via automatic 7 speed transmission. 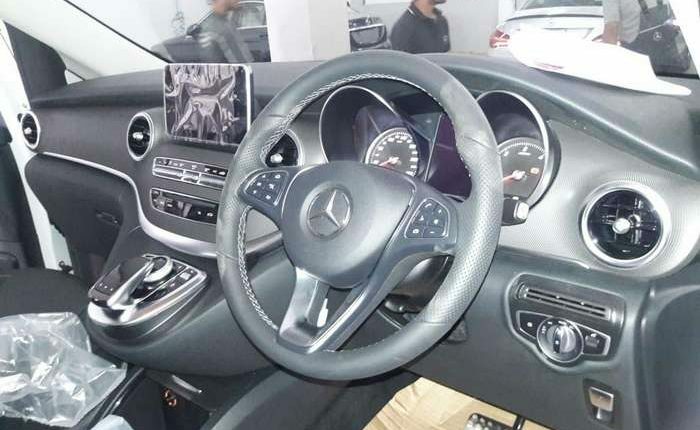 The engine is BS6 compliant. 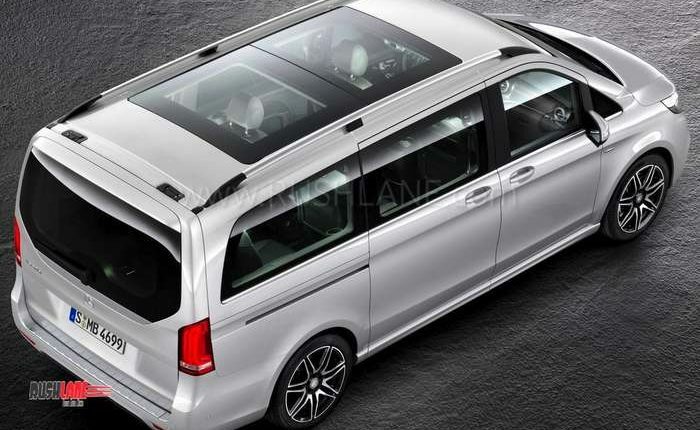 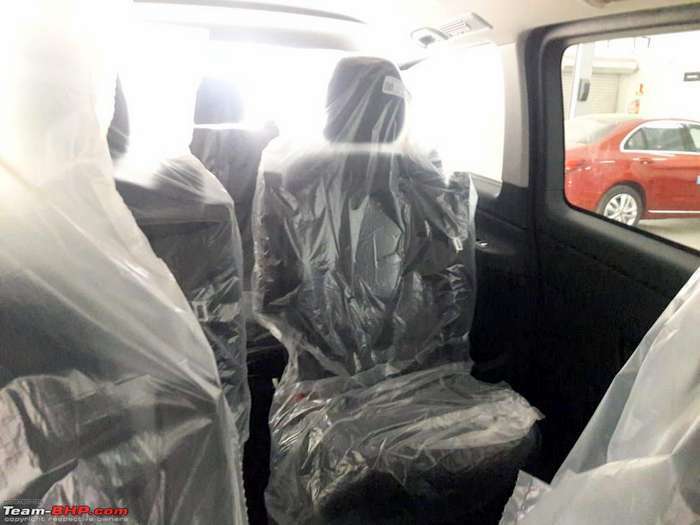 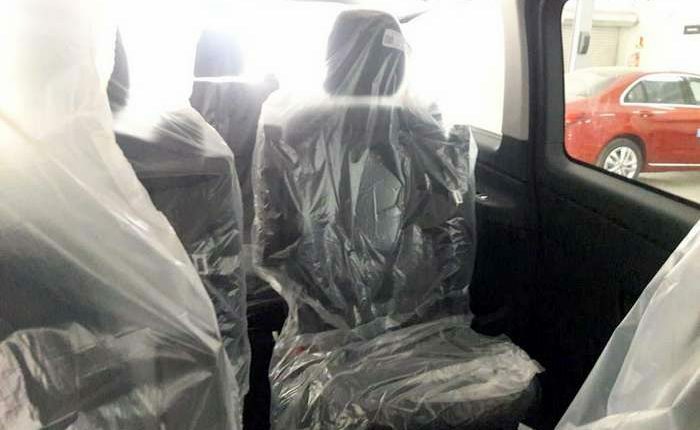 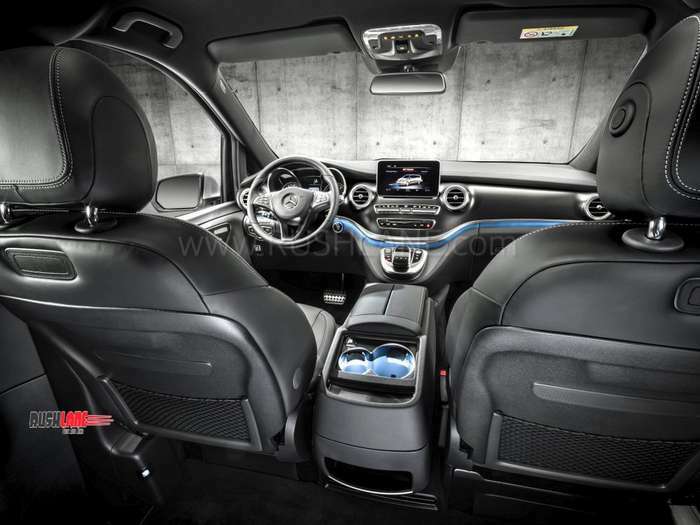 Mercedes V Class has been crash tested, and comes with 5 star safety. 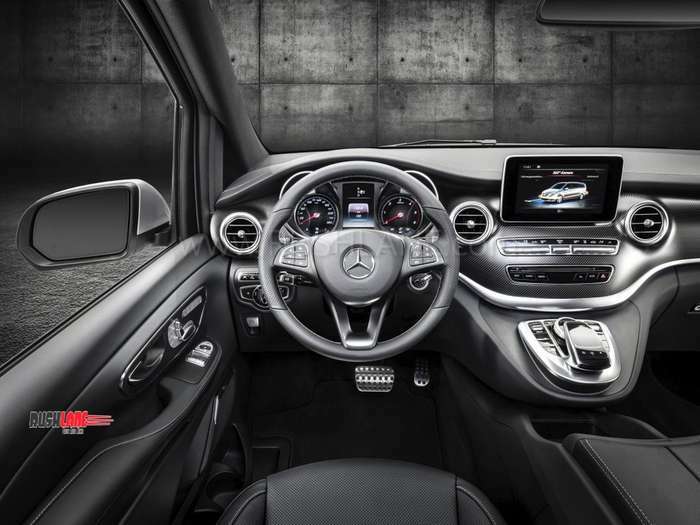 Features on offer include Nappa leather (Black, Beige, Maroon), LED head and tail lamps, a standard Mercedes front grille, 18” alloy wheels, ambient lighting, 3 spoke multi function steering wheel, twin dial instrument cluster, and a centrally mounted touchscreen infotainment system flanked by circular AC vents. 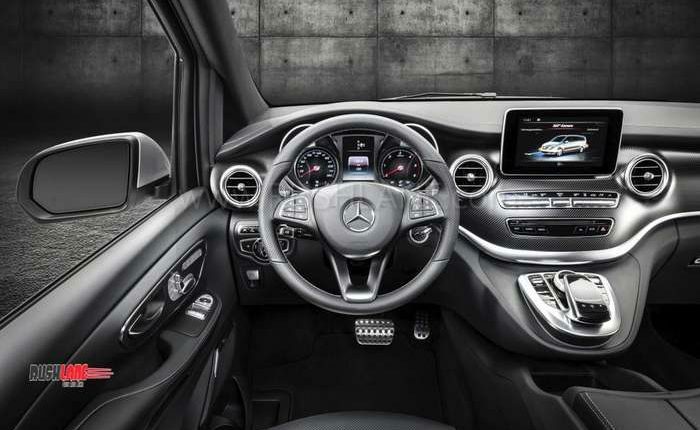 Exterior colours on offer are Silver, Blue, Black and White. 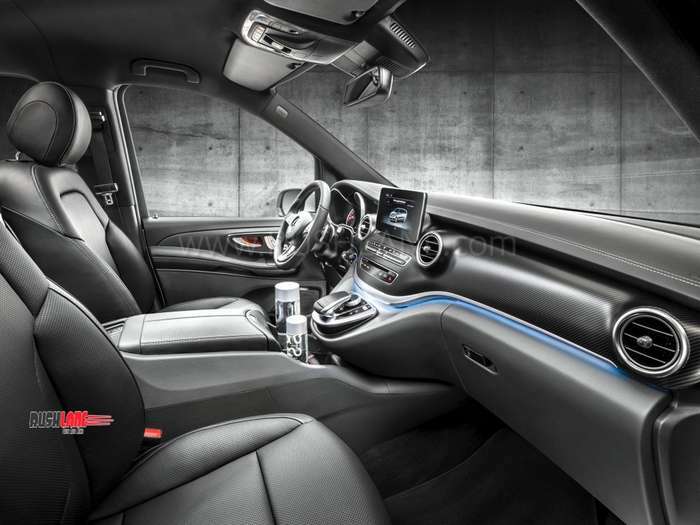 Internationally, it also gets the largest of sunroof in its segment, heated front seats and 16 speaker Burmester surround sound music system. 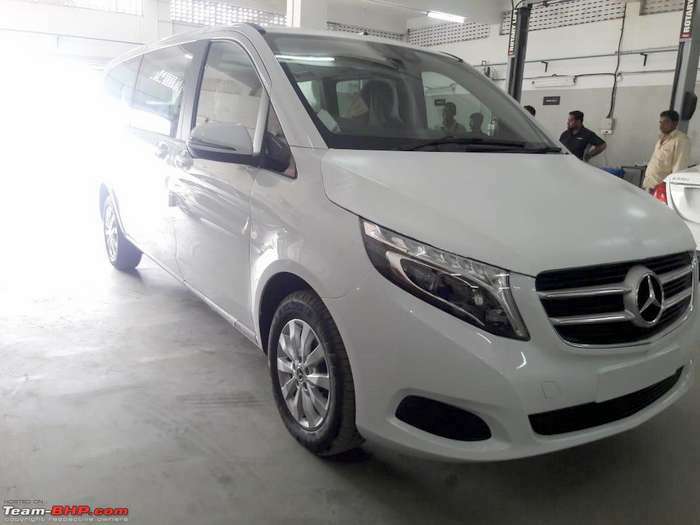 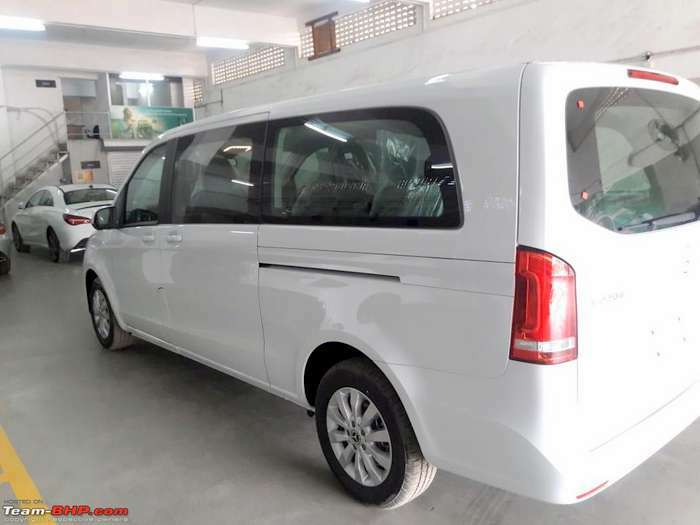 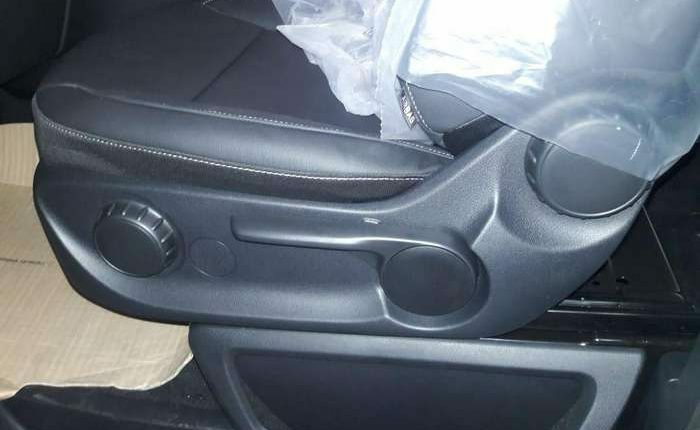 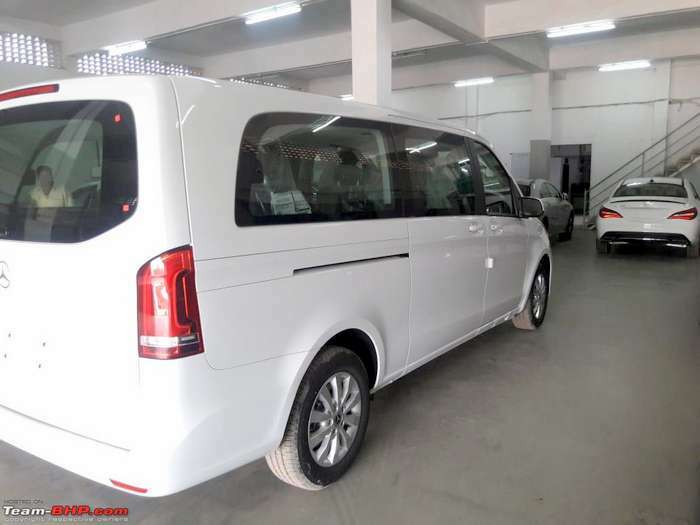 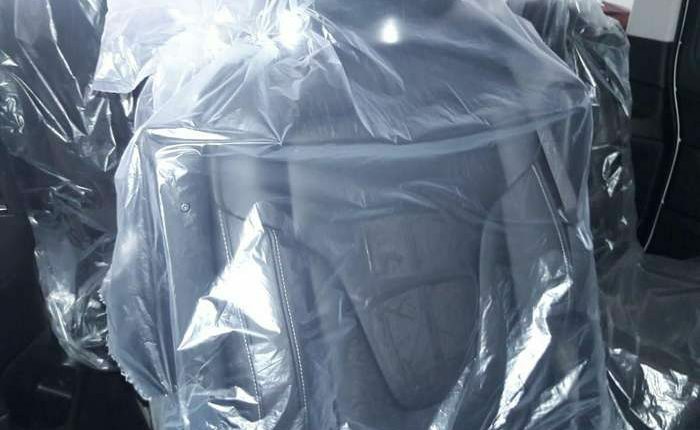 It also receives a host of safety features among which are 8 airbags, active parking, attention assist, cross wind assist, hill start assist, cruise control and traction control ABS, EBD and ESP are offered as standard. 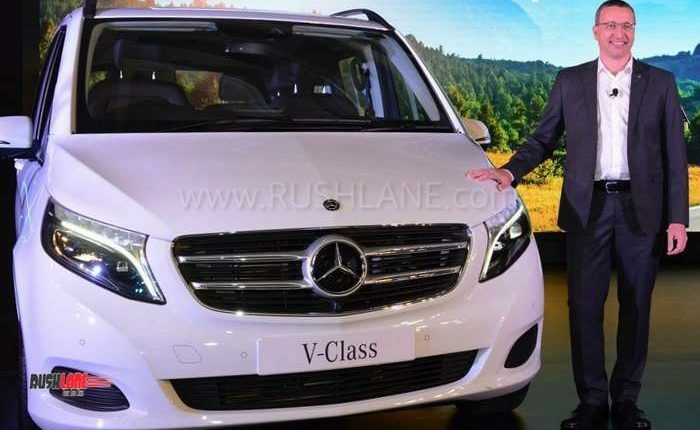 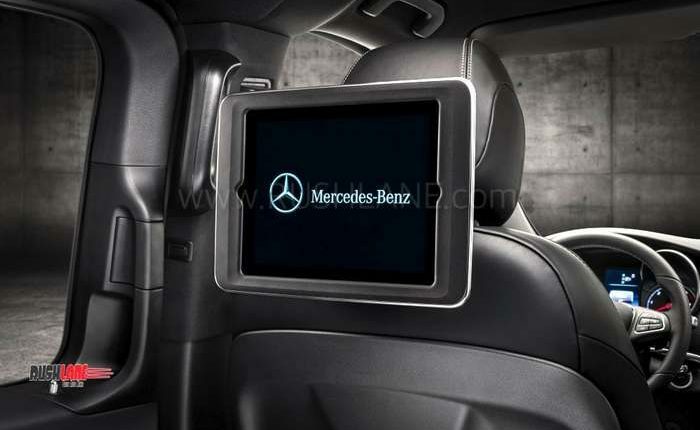 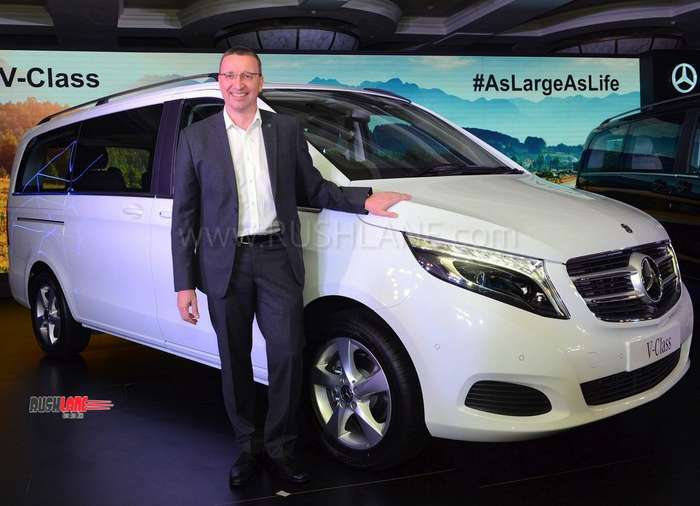 Mercedes Benz India is targeting customers who want to travel in luxury and comfort with the new MPV. 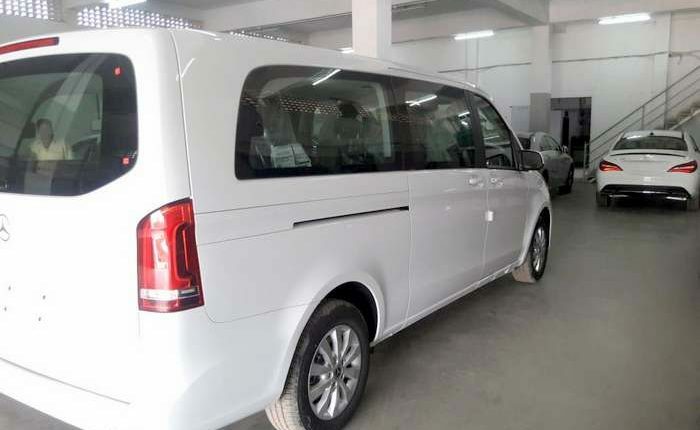 Also those, who are looking for a mobile office. 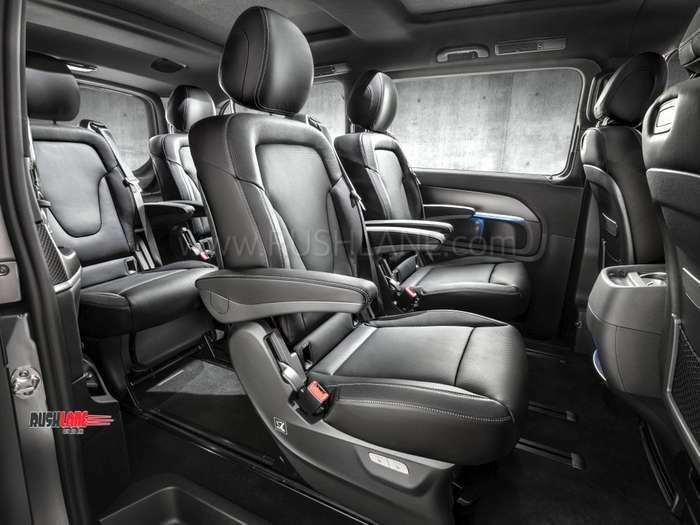 The rear seating arrangement can be made such, so as to accommodate 4 seats facing each other, and thus conduct a meeting on the move. 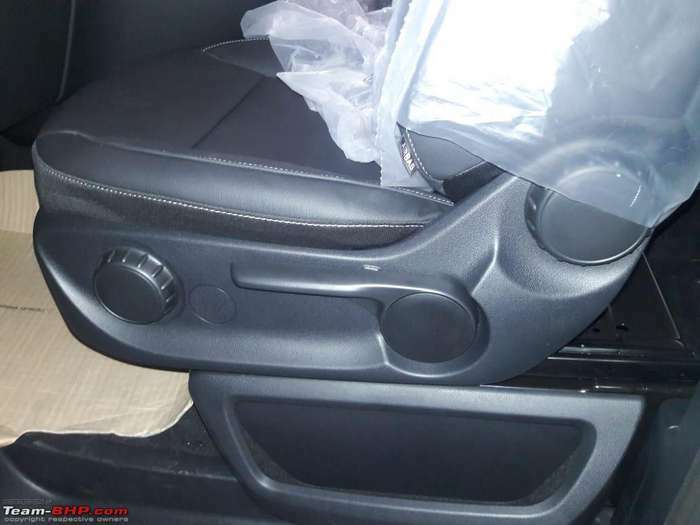 Seats come with electric memory function. 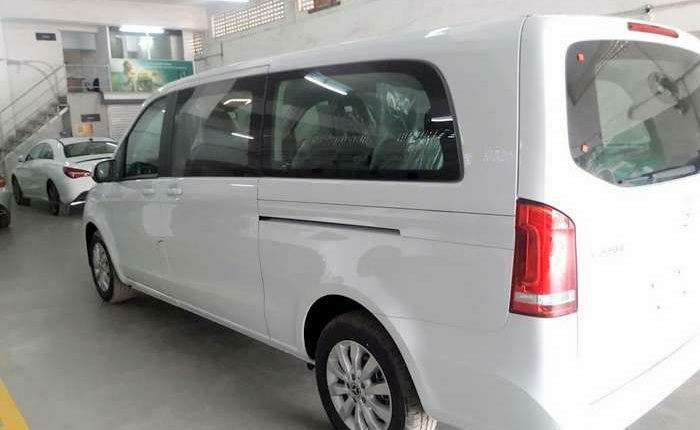 For comfort, it gets agility control suspension, electric sliding door at the rear, remote key to operate doors, stop sensor when using rear door, ambient lighting. 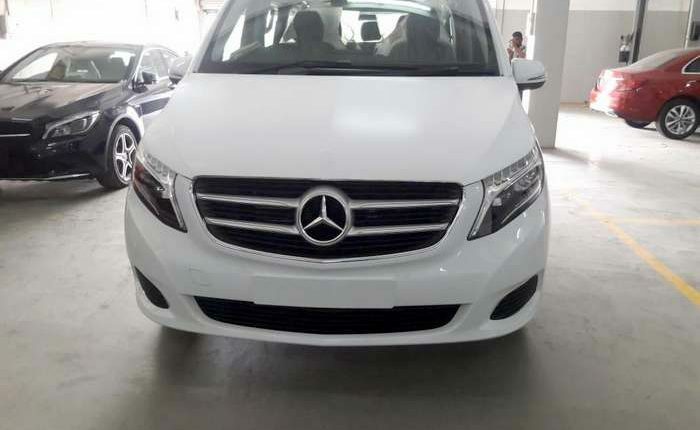 Car has already arrived at dealer. 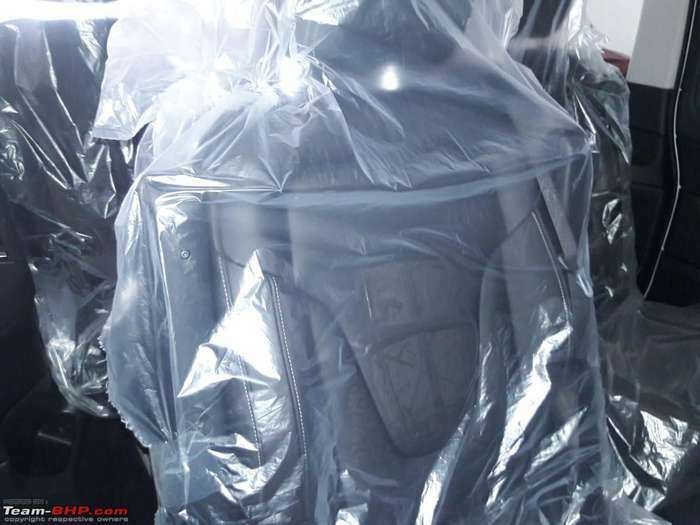 Images credit to Porcupine / Team-BHP member. 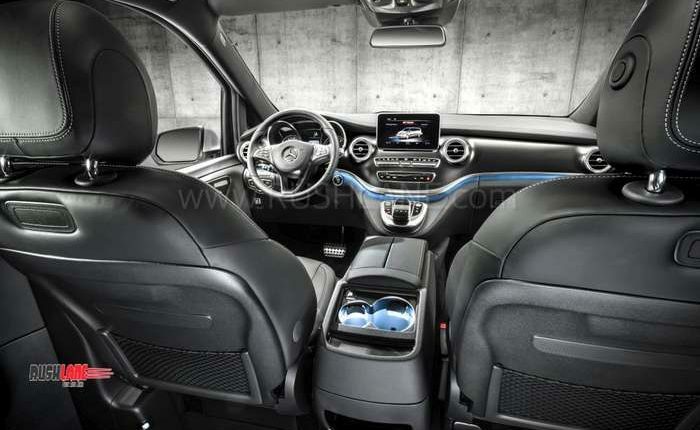 Below is a detailed image gallery.